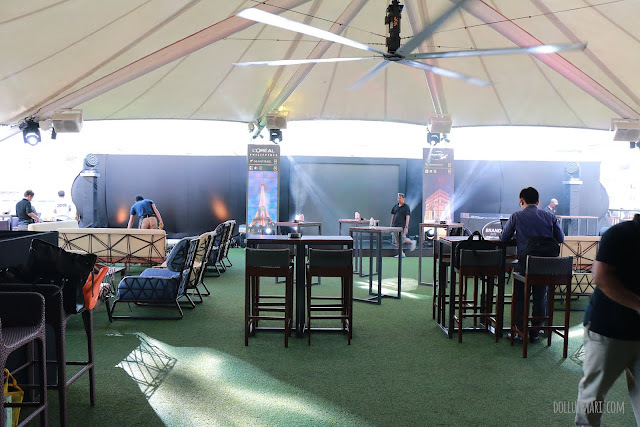 This blog post will most definitely not encapsulate everything I have felt and everything I have went through in the past six months with Brandstorm. I was laughing when Hannah from Ogilvy texted me if I could come over and blog about the Brandstorm National finals because I was actually one of the contestants. I told her that I really was gonna be there because I was in it. So well, what is Brandstorm, if you may ask? 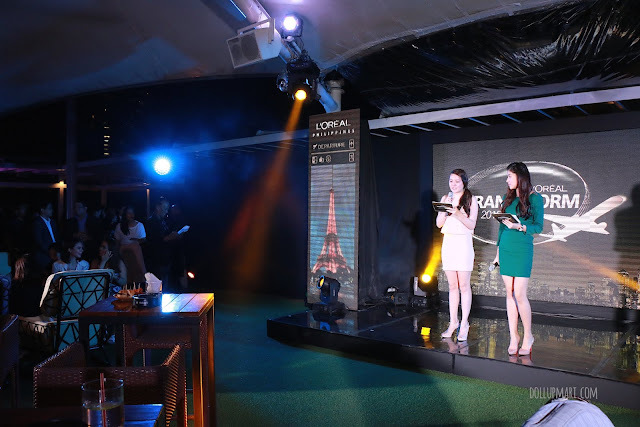 It's L'Oreal's worldwide competition for groups of three students. 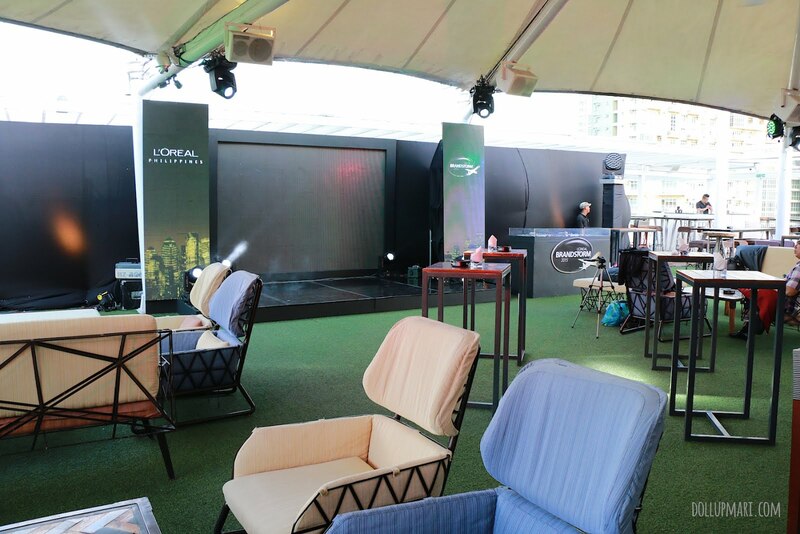 There is a selected L'Oreal brand every year, and students will be asked to create new products (or for this year, new retail experiences) alongside promotional efforts for the proposed products/experiences. The experiences and the promotional strategies will be put together in a communications campaign. Every country will send one team to Paris to compete against all the other countries, and one country will emerge victorious. I wouldn't really say that it's a business competition because we basically do everything here. In the span of the last six months, I have done everything from idea generation, graphic design, consumer market insighting, scriptwriting, declamation, researching, and virtually doing all of these at the same time. 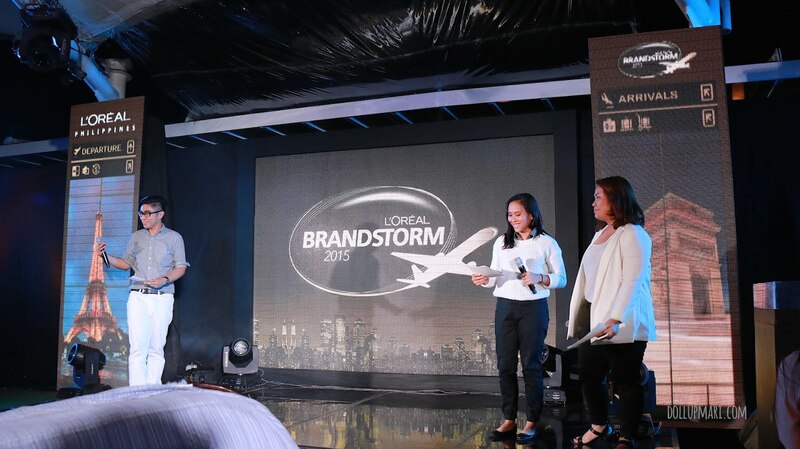 L'Oreal actually suggests that a communications major, a business major, and an engineering major will probably make the best kind of team as they will be able to cover all the things done in Brandstorm. I guess that shows how much of all-around I was in the past six months HAHAHA. 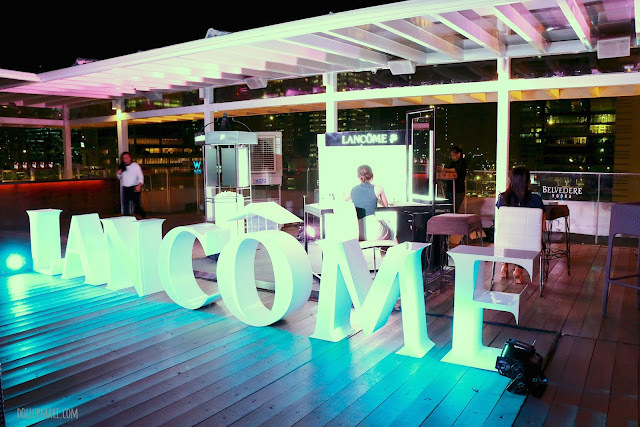 And oh yeah, I forgot to say, that this year's brand is Lancome in the travel retail channel. This means airports, airplanes, cruises, and Duty Free stores. They emphasized the travel retail part because travel retail is sooooooooo different from normal shopping mall kind of retail. When it comes to airports, there is no such thing as repeat customers and your customers are of different nationalities. You have to make ways for them to want to visit your store in their short time in the airport, and to make them know about your store even when these consumers are potentially from different countries and speakers of different languages. At the same time, customers are looking for shopping experiences that are fast, pleasurable, and nice, even if their primary goal is to board their flight. So it's important to create very interesting store displays and promotions that will not eat up the consumers' time, and to give consumers luxury in the airport. As for Lancome being this year's brand, it's because it's one of L'Oreal's strongholds in the travel retail channel. 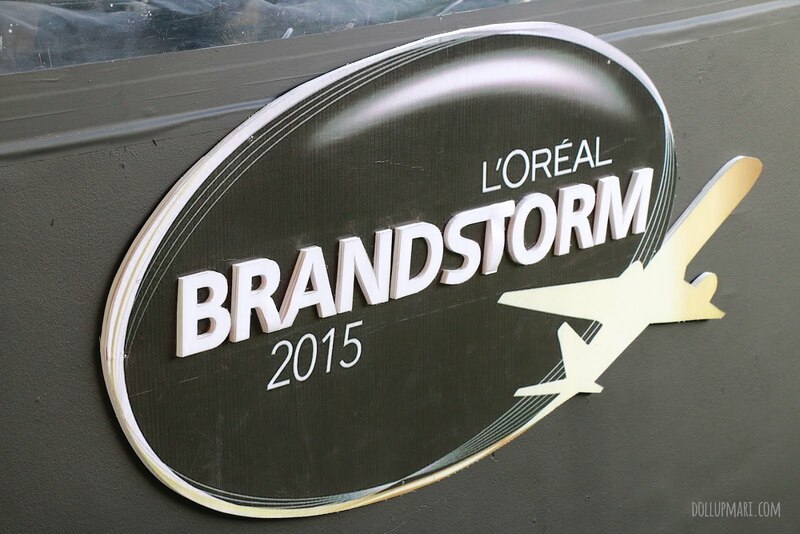 Brandstorm consists of four rounds before you make it to Paris-- a paper, two rounds of presentations against your schoolmates (the university semi-finals and finals), and a final battle with other schools (the national finals). We actually cannot believe till now that we made it this far because for one, we're juniors in college. Normally it's graduating students who make it this far. And I guess we will couple that with all our adventures and misadventures from the start. We were already about to turn in our paper last December when I asked my friends if they had spelled journeys right. They were so firm with their way of spelling, till they realized that they had spelled journeys as 'journies'. We had that 'journies' plastered all around the document, and even on the cover page as the title, so we were like OMG what if we had turned this in ermagherd. Surprisingly, we got to the semi-finals. 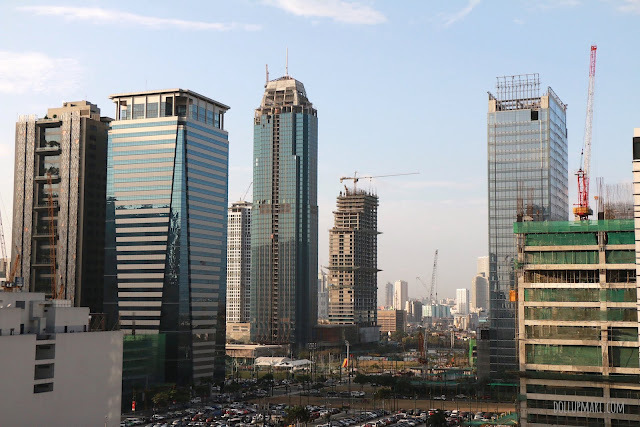 When we got there we realized that we had done the wrong things because it was supposed to be about researching but we already presented all our proposals and ideas. I thought that we'd get eliminated because of not following instructions, but to our surprise, we made it through again. 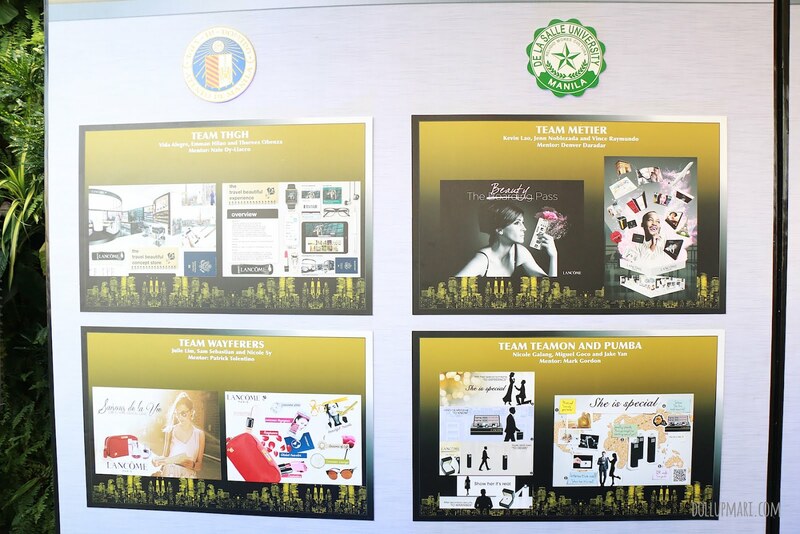 When we were already in the university finals, everyone came over with good ideas, but ours was so out of the box that we were somehow nervous that the judges might think it's too wild and reject it. But to our surprise, the judges liked the idea so much that they thought that it was creative and innovative. So yeah, to our greatest surprise, we became national finalists. And hooray this is the day! While I enjoyed the whole process from our brainstorming sessions way back in October, I also cannot deny that I'm already very very exhausted with all the sleepless nights and Makati engagements (yes we QC people have it hard huhuhu). I knew I was not yet ready to face this day, but another part of me also wanted to get it over with because it's been causing too much suspense already hahaha. 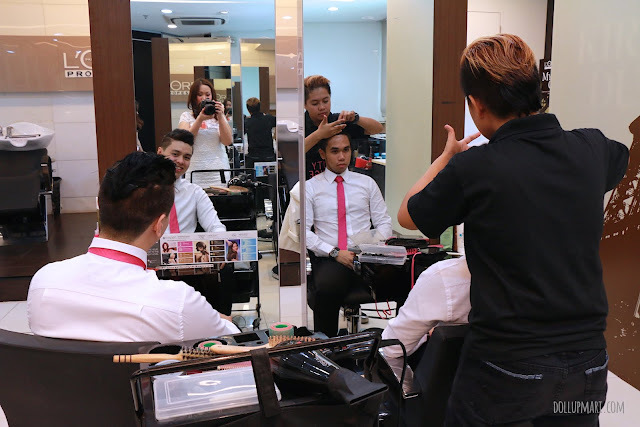 So here are my boys getting their hair done by the team of Ara Fernando (le girl who does Jinri Park's makeup so yeah I told Ara to tell Jinri how much my brother and I love her hahaha). 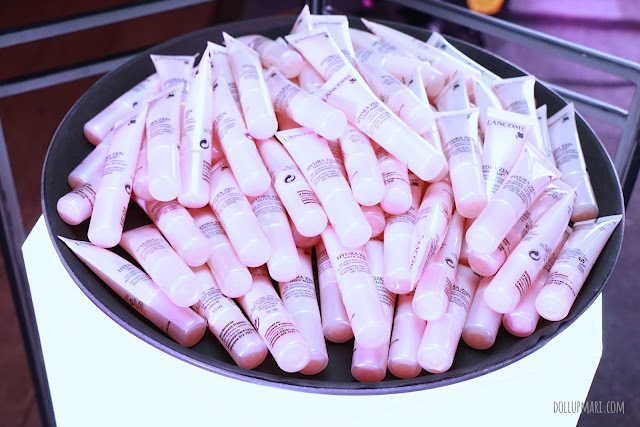 This is in the L'Oréal professionel hair academy at the Equitable Tower. Our competition was held in the L'Oréal office, but since the office itself was already fully occupied by the competition rooms and holding rooms for each schools, and that it makes more sense to fix someone's hair in a salon environment, they decided to do it here. I did my own makeup for this, but entrusted my hair to G Mande (yes G is her official nickname). I really love how she can make miracles with my hair. She is the only person thus far who has let soft curls last on my hair. I mean stylists have already curled my hair, but the curls had to be very stiff and a lot of hairspray had to be used that my hair already feels unnatural. I love how she can easily pull of the Anne Curtis meets Georgina Wilson hairdo hahaha. This year's competition is closed door, meaning that we make our formal presentations in a private function room of L'Oréal. Only our professors, ourselves (as contestants), and of course the judges and the organizers are allowed. 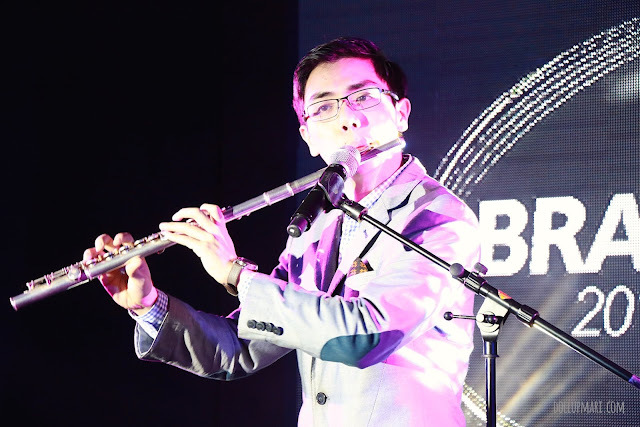 The repeat 5 minute summary of our performance in the awarding ceremony will no longer have any bearing on our scores. 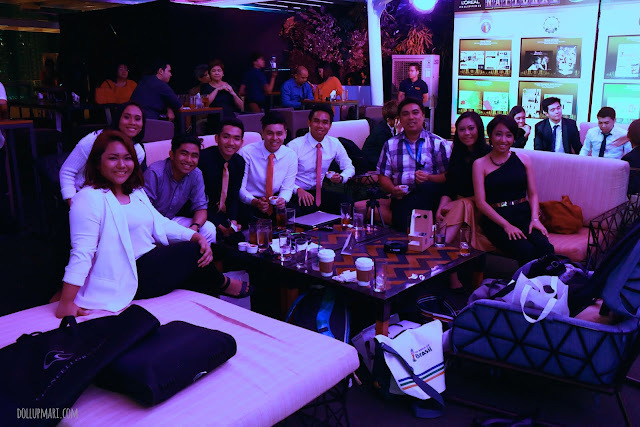 So here's a photo of our co-UP team, Team Storm Surge, with our professors and mentors. 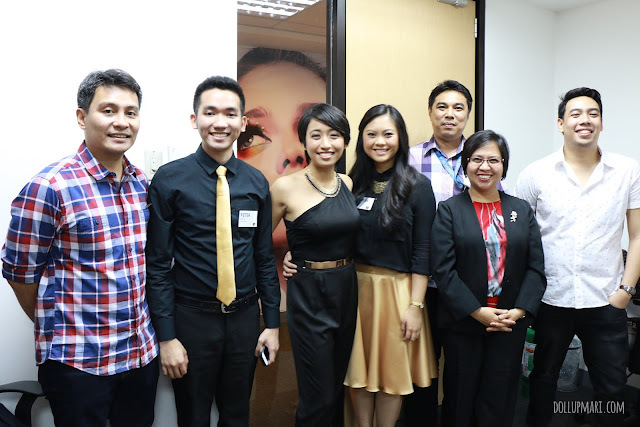 In this photo are Sir Mark (leftmost; the undisputed god of work-life balance), Sir Manny (third from right, our college secretary), Ma'am Glo (second from right; the chair of the Business Administration department), and Sir Louie (rightmost; our official mentor). 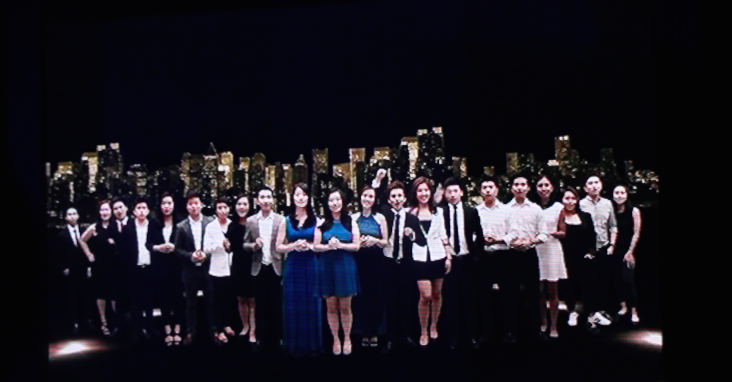 And here's a photo of us with our professors and mentors. Our professors are actually dizzy now because not a lot of them know that I am a blogger, and that I live by the rules of blogging (a.k.a Rule 1, take a photo of everything. Rule 2, take a photo of everything at least twice). So here are our boards! Yaaaaay!!! 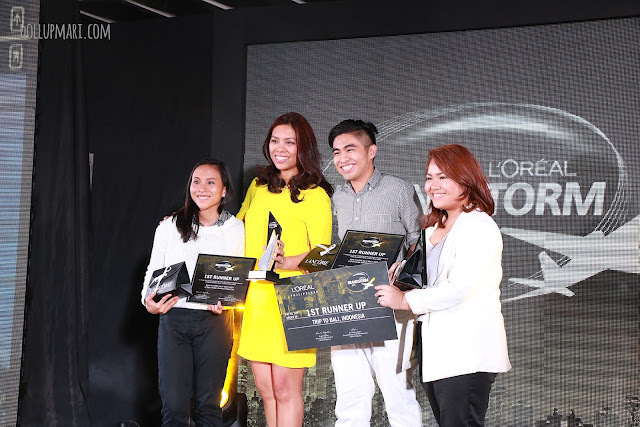 Every year, L'Oréal partners with an ad agency to help the students bring their ideas to life. And the ideas are put together in posters called boards. each group is tasked to create two boards, one depicting their ideas, and another depicting the promotional strategies for these ideas. 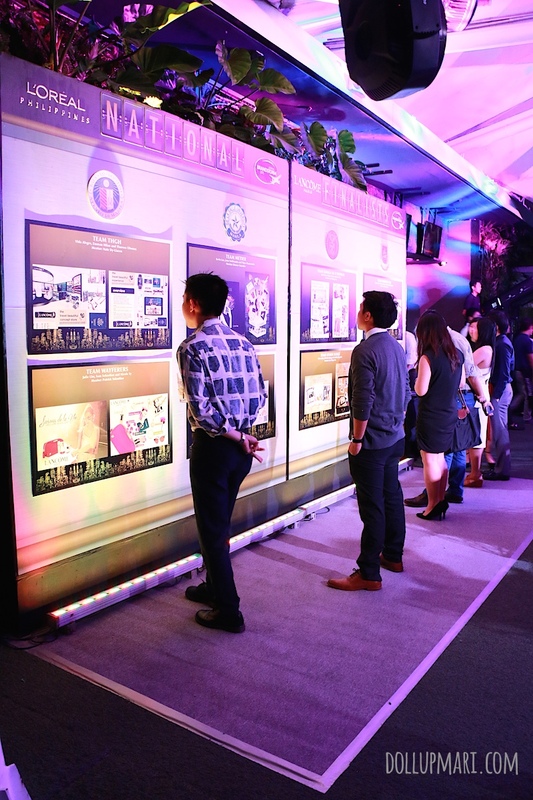 This year, the partner is McCann worldgroup. We worked with Milson (the graphic designer) to photoshop visual aids and illustrations for our ideas. To make things fair, every team works with Milson, and is given an equal amount of time to work with Milson. After working with him for so long (well technically 14 hours spread out in two weeks isn't long but if you're doing really difficult stuff it does start to feel lengthy) it's like we're already his best friend. I guess it's safe to say I was stage mother for a day as I took a million photos of the other team hahahahaha. 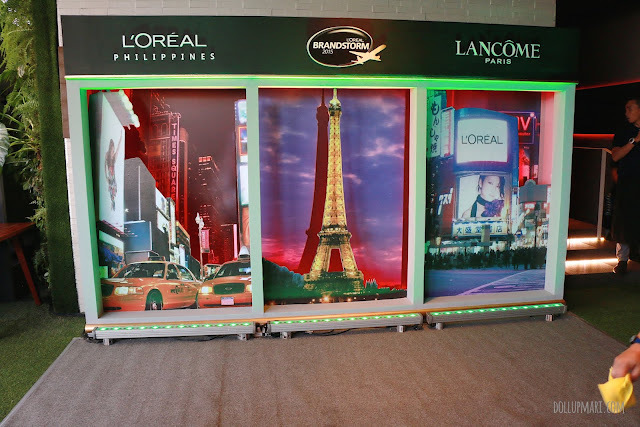 As with any L'Oréal event, there is a fancy photobooth. And of course, soooo much props to Wacky Narciso. Wacky is one of last year's national champions, and is also from UP Diliman. 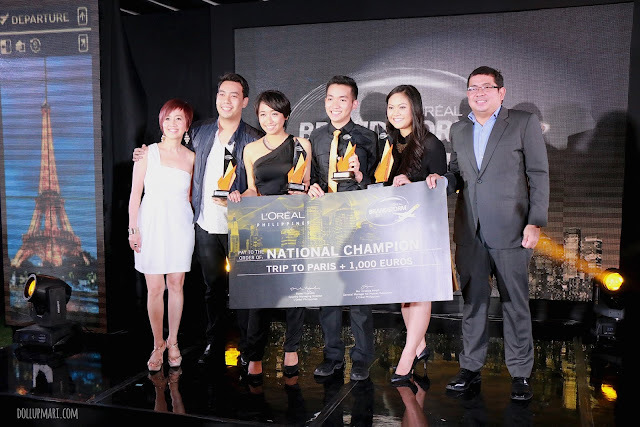 Having been a Brandstorm player himself, he knows all the sleepless nights involved. 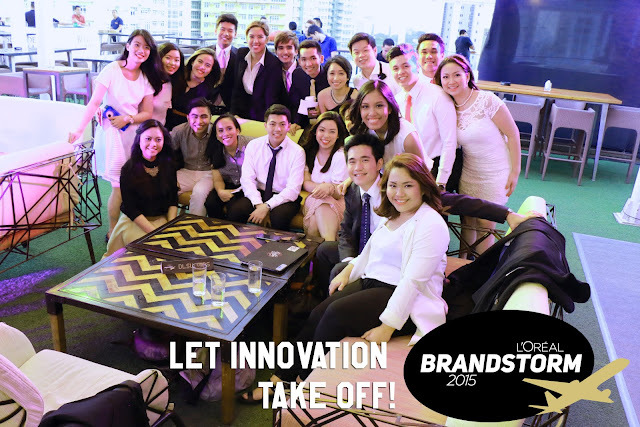 And now, being the manager, well, he's just as sleepless as us because Brandstorm is an international competition. 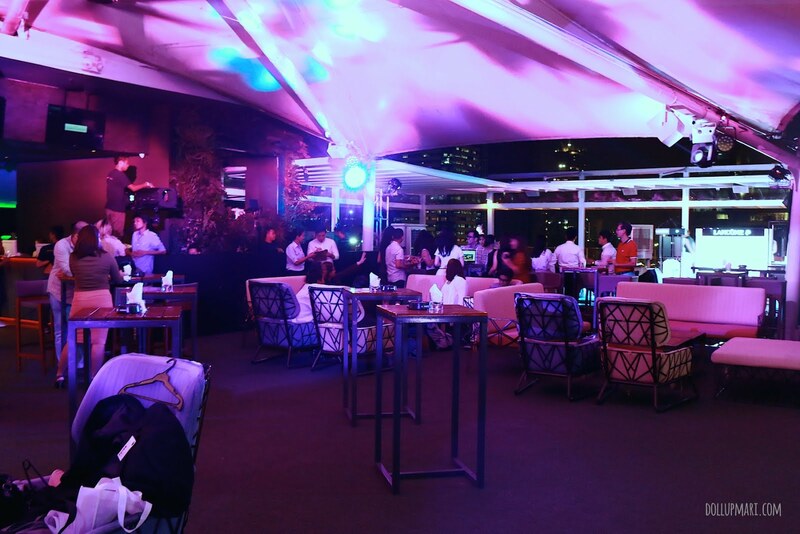 Aside from the usual stress one would get from organizing an event, organizing this is even more stressful because Brandstorm has a lot of international rules and regulations to make the competition fair for everyone around the world. This means having to time the events at similar timings with other countries' events, and also making sure that as per contest rules that the different rounds of the competition are spaced out in numbers of days like in other countries. This means that if he organizes competiton round 1 today, he needs to schedule round 2 30 days after round 1 to obey competition rules. And things like that. 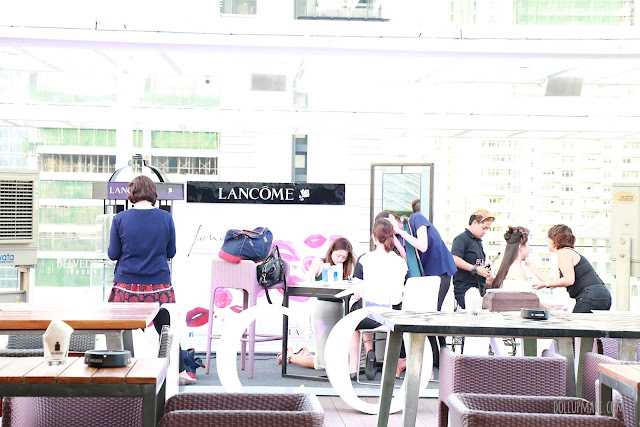 Since this is a Lancôme event, it was no wonder that they had a booth. Too bad that it was in a bad spot though, as in the hairstylists couldn't do their job properly because the wind was too strong in this area that basically whatever style they do (assuming they're not doing an Imeldific beehive or an updo with three cans of hairspray) gets unraveled by the wind after 3 seconds or less. I was supposed to get my hair retouched but I kinda sensed that it'd be useless because my hair would be blown by the wind anyways. They gave out samples of their Hydra Zen moisturizing gel essence. 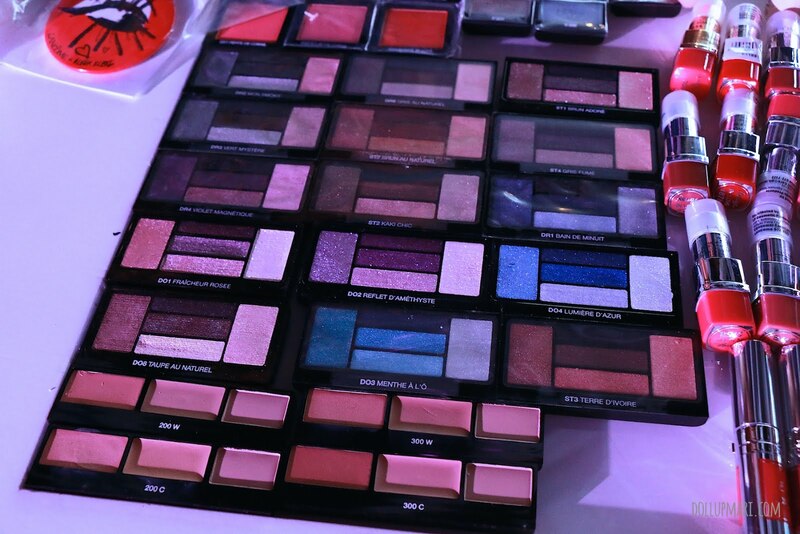 Lancôme's eyeshadow palettes, eyeshadow singles and blush pans were also in display. 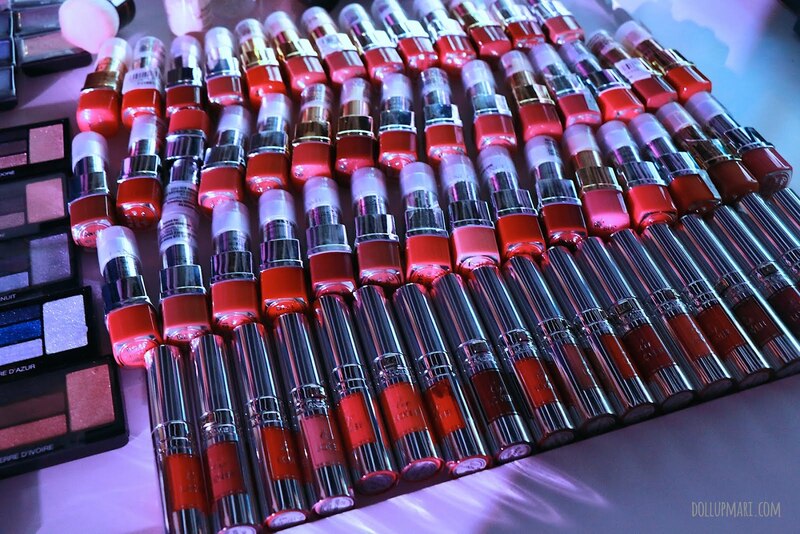 And here is a summary of Lancôme's 10,000 shade lipstick and lip gloss collection. They're one of the few consumer brands that pay this much attention to lip color. And finally, after about three or four hours of waiting, the program has finally started! They kicked things off with a video that they made featuring all teams and all our journeys. Well, since we (our team) submitted the most selfies, we also had the most selfies end up in the video as well hahahahaha. I applaud Go Motion for being able to make a video like this even if it was shot in a shoddy green screen set up in a studio in Makati. 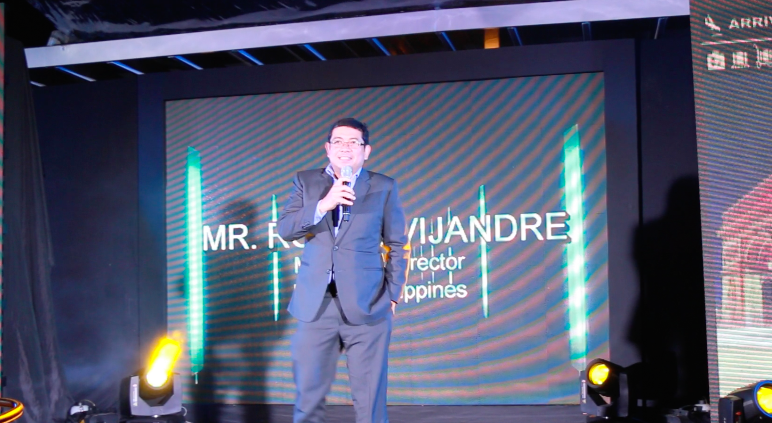 Mr. Rowel Vijandre, managing partner of L'Oréal Philippines, made his opening remarks and gave a brief history of what the company is about and what it stands for. 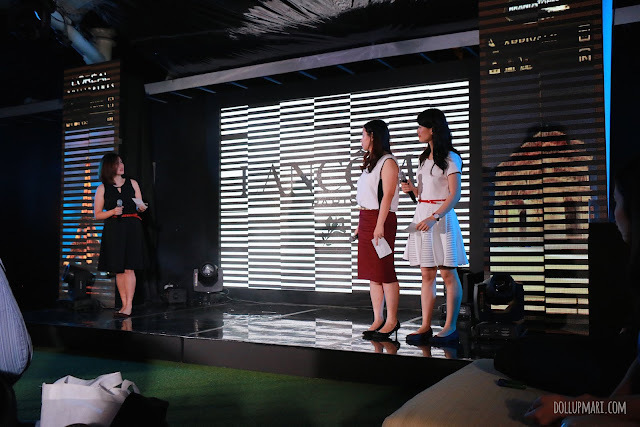 Ms. Jessica Wilson, Lancôme's product manager, on the other hand, made a speech of appreciation for the Brandstorm players' hard work in knowing about Lancôme. 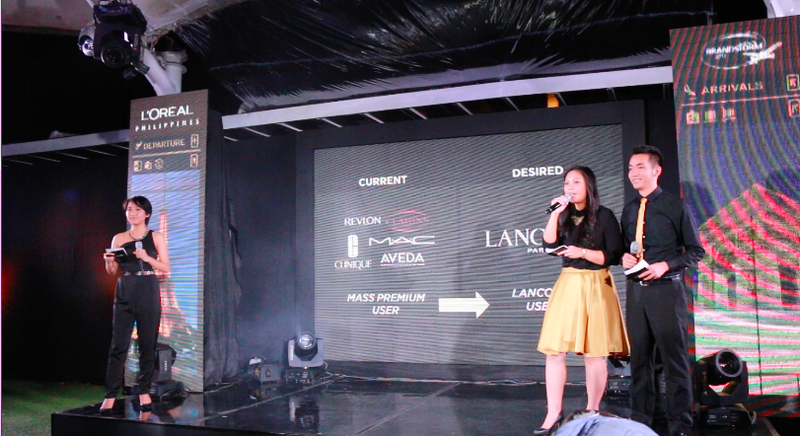 She also showed a video on what Lancôme did for women's day. And yes if you're wondering why is she drop dead gorgeous she is the sister of Georgina Wilson so the beauty gene runs deep in this family. It's the five minute summary time! Yaaay! Since I took a video of ourselves, I just took a screenshot. I don't have a legit photo. Too bad my teammate Ralph is not seen in this shot. 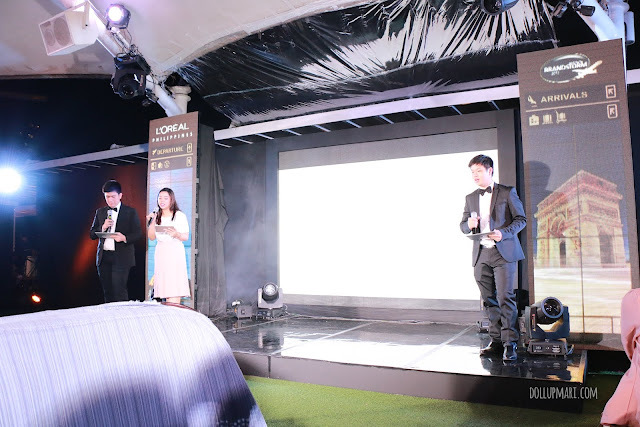 He had to move out of the stage because his remote's (for the powerpoint) signal was too weak when he was onstage. And here is contestant number two, Wayferers. There's Sam (leftmost), Julie (second from right), and Nicole (rightmost). Up next was Teamon and Pumba. 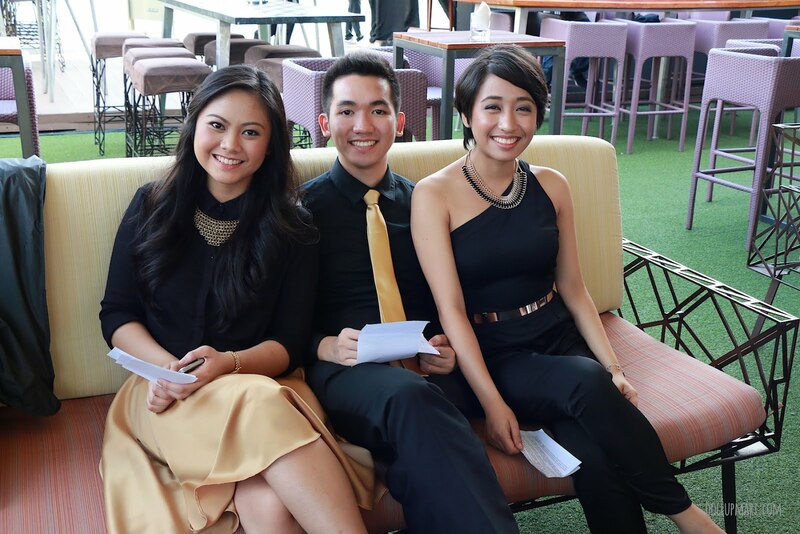 With Miguel (leftmost), Nicole (second from left), and Jake (rightmost). They had a guest flutist from Ateneo to serenade the crowd for the intermission break. After the break came in Wildestcard. They are basically living out a milestone because every year, Brandstorm holds a contest for those not from participating schools, and lets them enter through making a video. The video is normally put up against all the other videos worldwide and then the winner (via votes) in all the videos gets to compete in Paris with no questions asked. 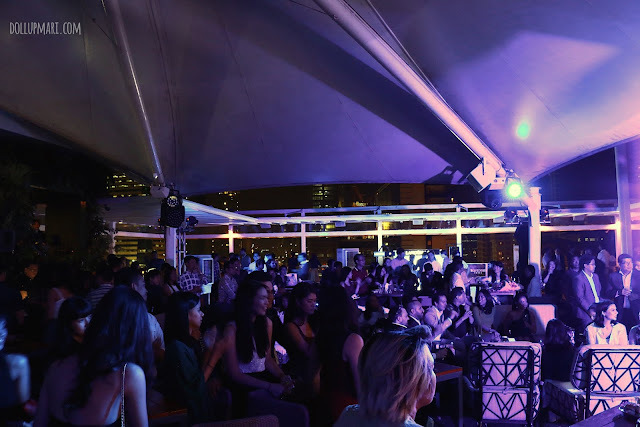 This year, the best Wildcard video in the country, which was from their team, made them eligible to formally compete in the normal cycle. So heare's Jeano, Celina, and Bravewelle. And last (but of course not the least) is team THGH with Emman, Vida, and Thurees. And hooray, it's winners time! 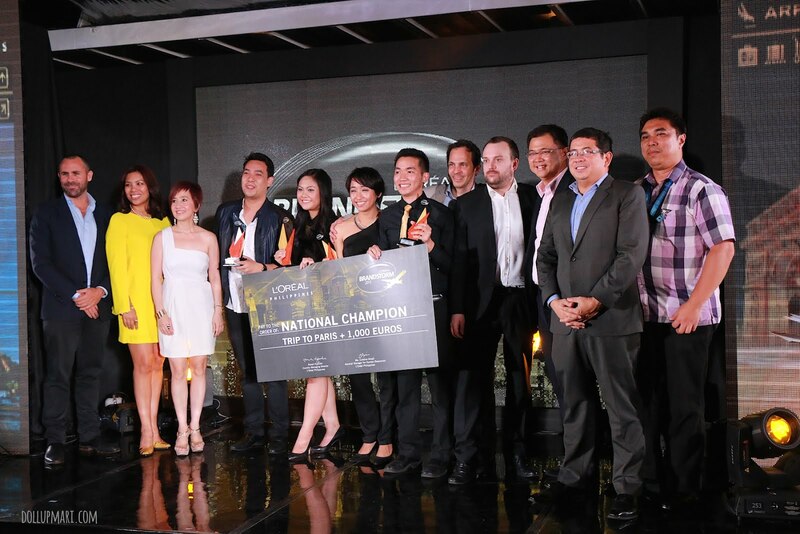 Second runner up is Teamon and Pumba (huhu I wasn't able to take a photo). First runner up is Team THGH. 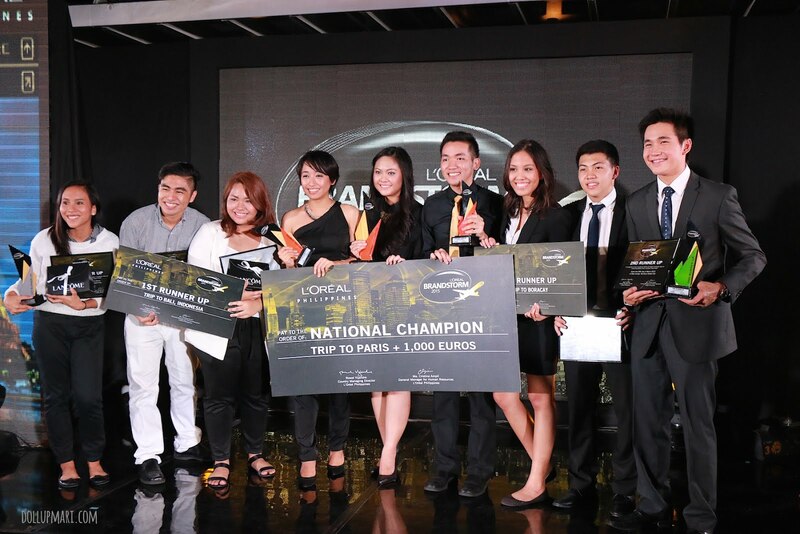 And the undisputed champion is Team Storm Surge of UP Diliman! The crown is ours!!! Here's a photo of our friends with all the leaders of L'Oréal. And here's a photo with all the winners in it. Congratulations, everyone! As for us, we weren't expecting to win. Making it this far was already very, very good for us considering that this is the first major competition we have joined. 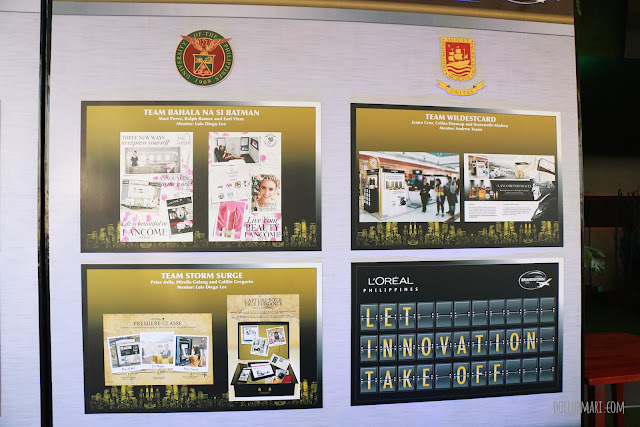 The fact that a UP team won already makes us winners because we can now proudly say that our school is the home of 4-Peat Brandstorm National champions. I feel really thankful about this experience, and basing from how wordy this blog post is, I'm of course very emotional and sentimental about all this. We have given up many family occasions, we did not recognize weekends for a very long time, and we have went through months of sleepless nights. But it was all worth it.